What I needed in order to start, was a general name to identify everything that is in model. I know that even such an apparently harmless sentence can hyde insidious philosophical controversies. At this stage of my modelling, what I want to represent (both visually and conceptually) is the archaeological evidence, i.e. 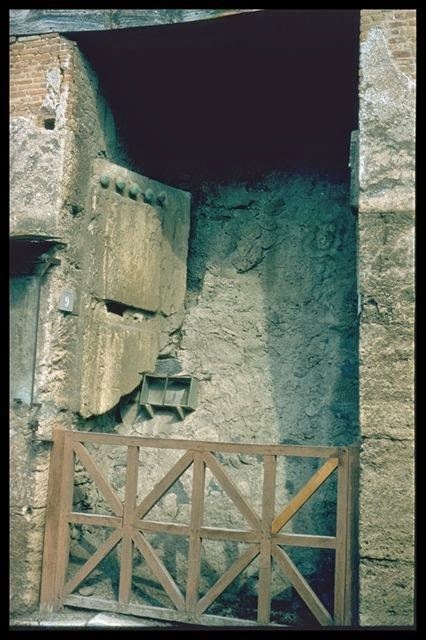 what can be still seen (and potentially measured) in situ at Pompeii. Further layers of visualisation that involve a bigger amount of speculation and interpretation, will be analysed (and modelled) later on. The terms that I am using are just draft, at the moment. I hope to find something better in the future or even to discover that someone else has already worked out a more convincing naming system and is willing to share it with me. The word I have chosen for all the components of the model is «element». I think it is abstract and general enough to be associated with pretty much anything (in any 3D model) and it covers logically both the tangible and intangible domains. There are no limits to the number of elements in a model or to their size. After a certain amount of head-banging against the screen of my computer, I think I have identified three different categories of elements. I have tried them against both the Iseum and the House of Orpheus. It seems to me that they kind of work, and cover all the possibilities in a relatively sensible way. But I wouldn’t be surprised if someone pointed out some discrepancy. To be completely honest, this is probably all I need to assign meaningful names to the elements in my 3D model or to catalogue my digital archive of resources. But I thought it was useful to refine the classification a little bit, thinking of a future (potential) higher complexity. 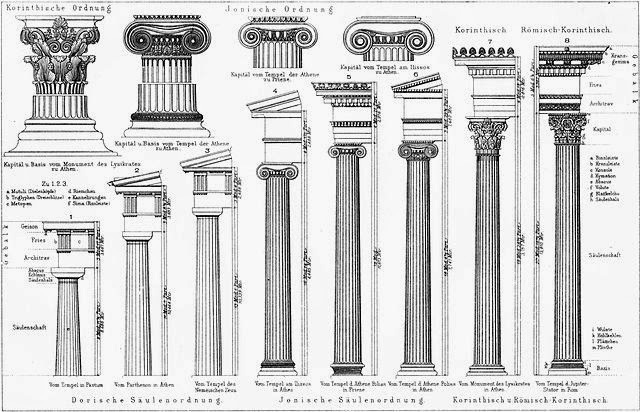 The classification itself, is very likely to be influenced by my 3D modelling experience and by the way I had been taught to approach ancient buildings (especially Pompeian ones) and their components. Plaster cast of a Pompeian door. «Constraints», on the other hand, are elements in which activities cannot take place, and usually serve as boundaries for spaces. The most common type of constraints are walls, but colonnades, podia and roofs will be considered constraints as well. A space is supposed to be delimited on each of its sides, although not all the constraints are tangible. A change in the mosaic pattern can delimit a space, even if there are no walls to mark the separation. To be precise (and slightly pedantic) the tangible constraints can be divided into permeable and impermeable. To the latter clearly belongs plain walls or high gates. To the former, belong colonnades. 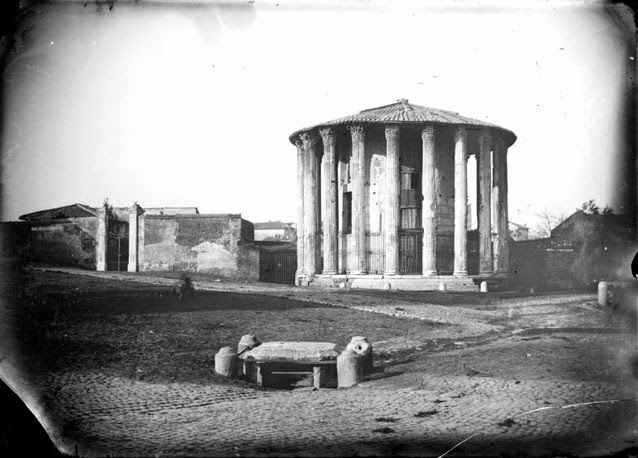 Although some constraints (such as colonnades) are physically permeable, I suspect that they were not always considered as such in practice. I can hardly imagine someone being allowed to jump down the Temple of Isis’ podium through the pronaos’ colonnade. However, I will consider only the material qualities to assign the constraint to one or the other category. All the ones we have mentioned so far are permanent constraints (both tangible and intangible), but we know that Romans had temporary ones as well, such as curtains or removable fences. The existence of temporary constraints implies, I guess, the existence of temporary spaces. As I am currently working only on the present archaeological evidence, temporary constraints or spaces are not object of my attention now. Last, «transitions» are those elements that connects spaces and, as such, they do not belong to either of the two elements they connect, but are independent. We will consider two kinds of transitions: the ones that allow physical access from one place to the other (such as thresholds or stairs) and the ones that allow visual access from one place to the other (such as windows). Likewise the other two elements, they can be permanent (a stone staircase) or temporary (a ladder). Spaces, constraints and transitions can all have «features». Features is used, as the dictionary suggest, to indicate “a distinctive attribute or aspect of something”. Features often pertains to the decoration of a space, or a constrain, or a transition. It is easy to identify constraints features, as they are basically contiguous. For example niches in the walls, engaged columns, mosaic floors. But also transitions’ features are usually easy to spot (windows moulding, or doors). Stand-alone features, that have no physical contiguity with any other element (such as altars or herms), will be considered features of the space in which are situated. So, for example, the altar in front of the Purgatorium in the Iseum is a feature of the cavaedium. Circular colonnade in the Temple of Vesta, Rome. The same constraint can delimit more than one space, especially when they are subelements of the same space. In the element Temple, constraint roof delimits both sub-elements space pronaos and cella. It could be argued (especially after a couple of drinks) that the part of a constraint, let’s say a wall, that delimits a space, is conceptually different from the part of it that delimits a contiguous space (such as the wall shared by three of the private rooms in the Iseum). In this case, 3D modelling’s logic has stepped forward helping me in two ways. In the first place, reminding me the practicality (even the “materiality” if I can use this word) of the process. Digital 3D models should be optimised for Real Time engines or any other platform that makes them explorable by the users. Therefore it is crucial to keep the number of polygons under control. The less polygons, the faster is the loading process and smoother the character/camera movement. Also, a limited number of polygons ensures a better control on the file for both the original author and the potential other researchers that want to build on top of it. On the other hand, I will deal with the conceptual separation of constraints through their internal and external surfaces. If what I have just written sounds a bit sibylline, I am going to explain myself better in the next post.